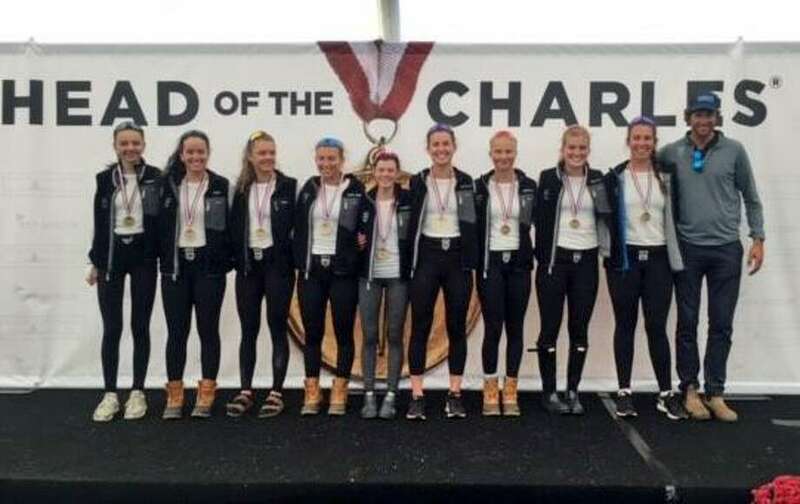 The Saugatuck Rowing Club junior women scored an unprecedented three-peat, winning gold for the third straight year in the women’s youth 8+ event at the 52nd Head of the Charles Regatta in Boston, Mass. The club also won silver in the women’s youth 4+ event for the second year in a row. In challenging, high-wind conditions, the SRC women’s youth 8+ bested the second-place crew by 12 seconds, powering through the storied five-kilometer course that winds along Boston’s Charles River. Earlier, the SRC women’s youth 4+ placed second in their event. Saugatuck also raced a men’s youth 8+, which finished 18th, and a second women’s youth 8+, competing against 85 crews from rowing clubs across the country in each event. All the Saugatuck boats earned automatic entries for next year’s regatta. "Our rowers were focused and well prepared, and the results are impressive," said Sharon Kriz, SRC junior director and boys head coach in a press release. "SRC has proven time and again that our rowers will push themselves to the limits." "Winning three times in a row in the women’s youth 8+ event is incredible," said Gordon Getsinger, SRC girls head coach. "We are so proud of our athletes and their continued drive to be the best." The prestigious Head of the Charles Regatta featured more than 10,000 athletes from 820 clubs competing in 66 events over two days. Women’s Youth 4+ (silver) -Noelle Amlicke, Westport; Parker Cuthbertson, Westport; Clara Everett, Fairfield; Isabelle Grosgogeat, coxswain, Westport; Kate Johnson, Westport.